Sport has come one of the events that bring the world together. Men and women from various parts of the world come together to compete for one destiny and as a result the whole world are brought together in an emotional way. The hype, the expectations and prize attached to sport has lead to the game becoming so competitive that players get ready to do anything for the sake of winning. Winning has become order of the game, and if one looses him or she would definitely get frustrated. It is through these emotions of either winning or losing or merely missing something in the game that most players find themselves in awkward facial expressions. This article has put together some of the funniest sports faces from various players across different sporting activities. What a funny look! This look from Yan Han from China is definitely one of the funniest sports faces in 2014. 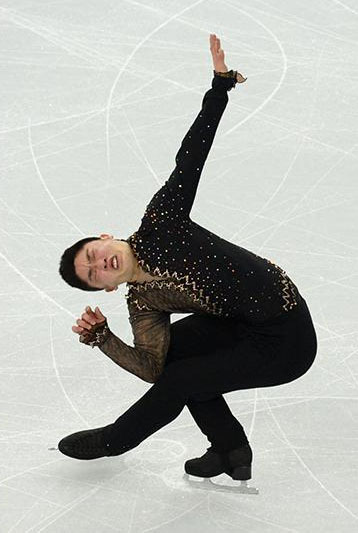 He was pictured while performing in the men’s figure skating short program in the iceberg skating palace in 2014 during the winter Olympics at Sochi, Russia.